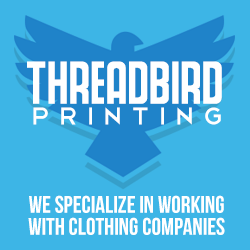 Just wanted to let those of you know that own clothing companies that Threadbird has two deals going on right now. 1. Place any order over $1000 and receive 250 FREE BUTTONS! 2. 100 – 1 color shirts for $450 Basic Blanks. No finishings, no jumbo, 1 color only!